Real Time Information Reporting: Help or Hindrance for Employers? 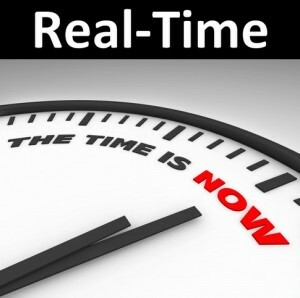 The introduction of real time information (RTI) reporting has been hailed as the biggest change in PAYE since its introduction in 1944. Under this new scheme employers and pension providers will submit an RTI return to HMRC each time employees are paid. This will show the amount of tax, national insurance and other deductions made before or when employees are paid rather than waiting until after the tax year, as is currently the regime. RTI is being piloted from April 2012 and subject to its success most employers will be required to take part from April 2013, with mandatory participation for all firms by October next year to coincide with the introduction of the major welfare reform, universal credit. The PAYE process will be much simpler because it will eradicate the need for end of year forms such as the P35 and P14. Furthermore employers will no longer have to send in employee starter (P46) and leaver forms (P45). Over time the PAYE process will be more accurate because HMRC will be able to review and check that PAYE calculations are correct on a timely basis rather than after the end of year process. It will support the payment of universal tax credits. It will reduce tax credit error and fraud. Please note some reporting requirements will remain such as P11D’s to report benefit in kind and expenses, and P60’s will still have to be issued. Given the time frame of this new regime, the main question everyone on everyone’s lips is, “is the cut off date of October 2013 realistic?” Yes the pilot is going well but there are other issues to take into consideration. Many small and medium sized enterprises are still unaware of the reporting requirements they will soon have to comply with. The main focus of this scheme is to integrate PAYE reporting with payroll practice. However there are a number of scenarios’s in which HMRC have found this challenging. Although solutions are being found, the worry is if there could be lack of time to pilot and finalise the workarounds. This could result in RTI being less integrated than initially planned. There will be significant costs involved in migrating to RTI – both computer and administration. Will HMRC provide adequate support to customers in the period of transition considering the cutback’s the government have introduced in the past number of years? If you like further information please contact one of our offices or e-mail us at info@mbmcgrady.co.uk.